A Track by James Burroughs. All work by me, I made many new TSO's, and build the entire mesh in MAX8. This is NOT a conversion. I am currently working on a version which will be current layout from GPS Data. I have used some tso's from various track, but not vary many. I completely remade wall and fences. Pit area takes many liberties, but I thought this was the best way to accommodate the number of pits and garages I was asked to have. There are 40 pit stalls, and 3 garage stalls for each pit location, there will be no Doubling up of cars, there are no duplicate locations. Score Tower works and accommodates 7 cars from 1st to 7th spot. ALL DX Levels, and ALL Vision Groups are FULLY Supported. PS: Materials are in ISI standards, ie: each part of the material is maped to a unique UV channel. 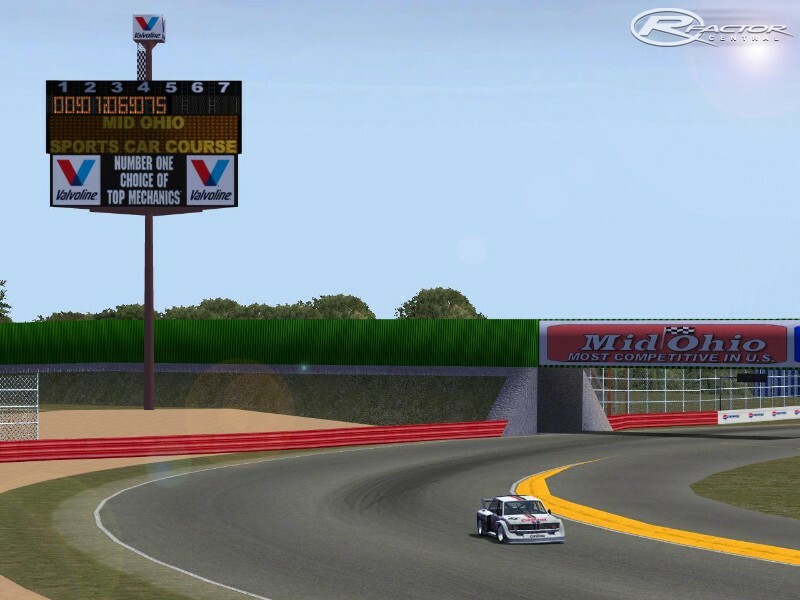 There are currently no setups for Mid-Ohio '07 Revisited. Add a Setup. I love this track one of my favourite NA track. Great work some very tricky corrners very slipery even with traction full on. Always an exciting GP race. 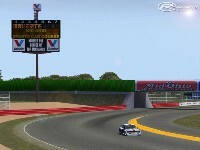 Screenie by: BIGZYX50 is WRONG that's not Mid-Ohio Sports Car Course! where i can get previous version, non-revised? cos on servers seems it still in use.